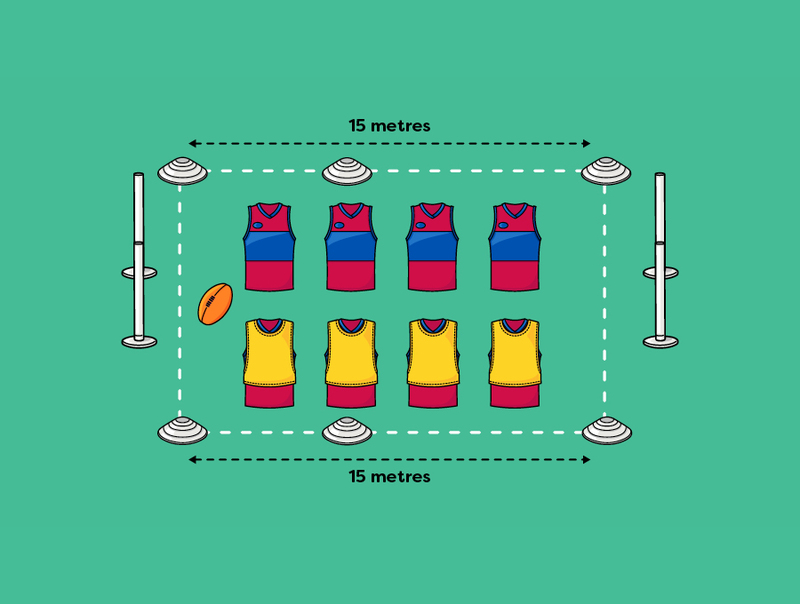 Add the cones to extend the length of the Activity Squares by five metres to make them rectangular. 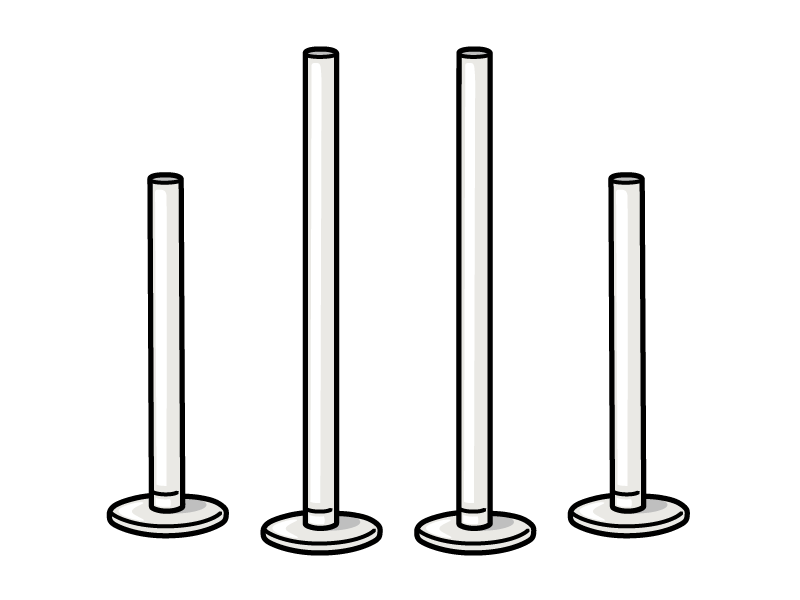 Place two goalposts at either end of each Activity Square. The goals in the middle of the Grid are shared by two Activity Squares. 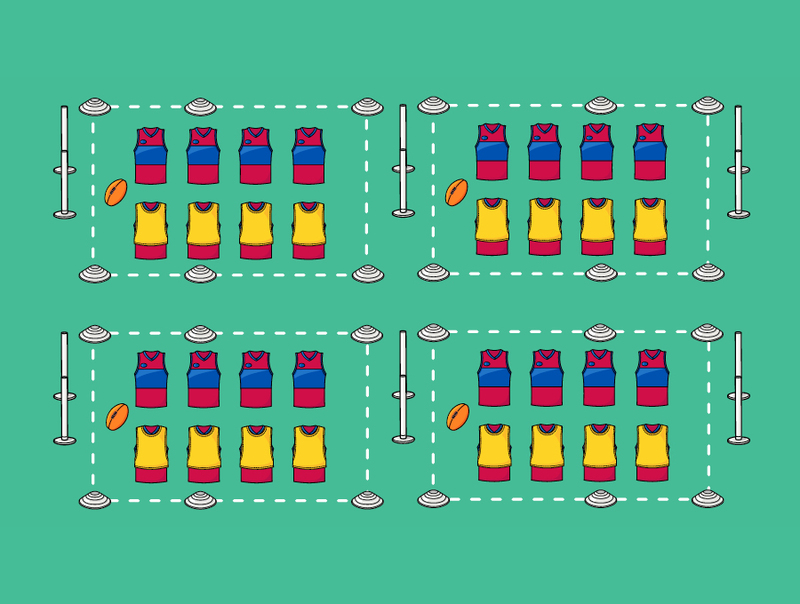 Divide the players in each of the Activity Squares into two teams and give one team bibs. This will create games which are roughly 4 vs 4. There are no zones or positions. Watch the video called “How to Run a Session”, which explains Mini Matches further. 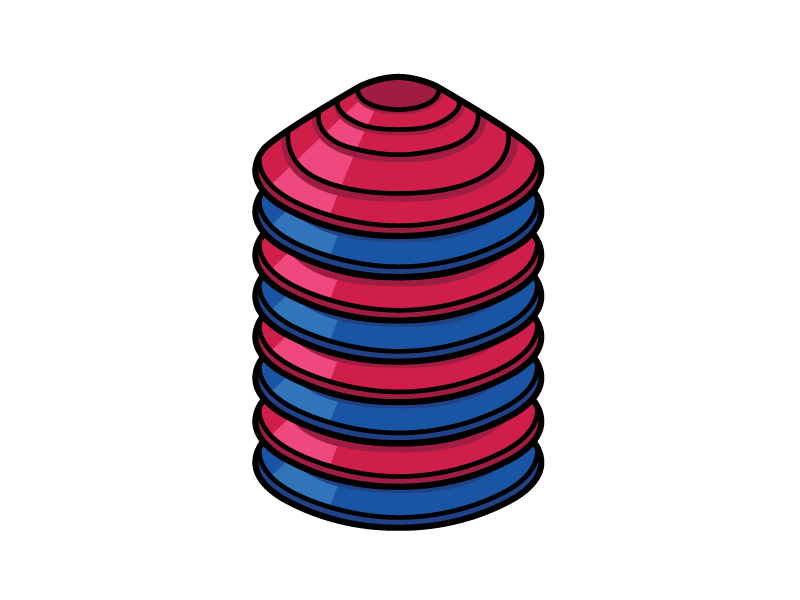 Pick a player from each team to be the ‘rucks’ for the ‘ball-up’. 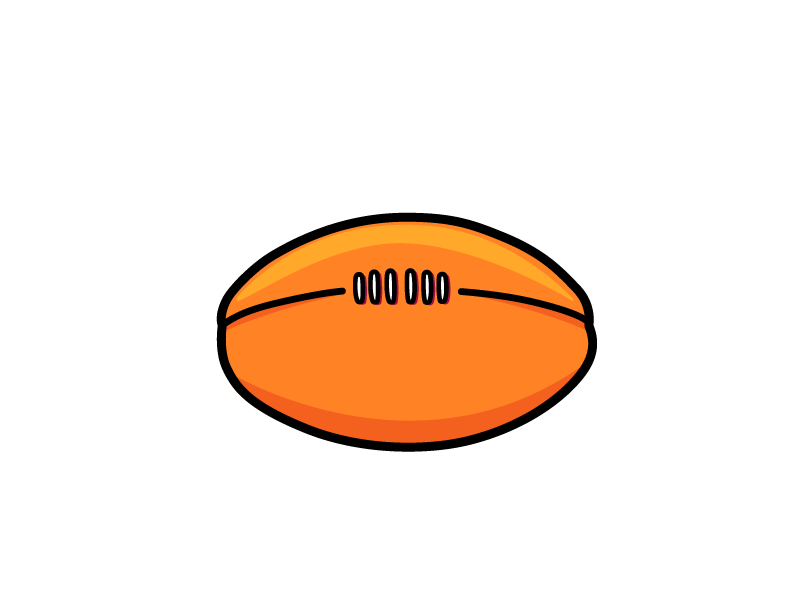 Throw the ball in the air and the rucks will try to tap it to their team. Then away you go with your match. No diving on the ball, bumping, tackling or smothering kicks. Award a mark irrespective of kick distance, even if the ball is not marked properly. Encourage players to spread out but also to be actively involved. 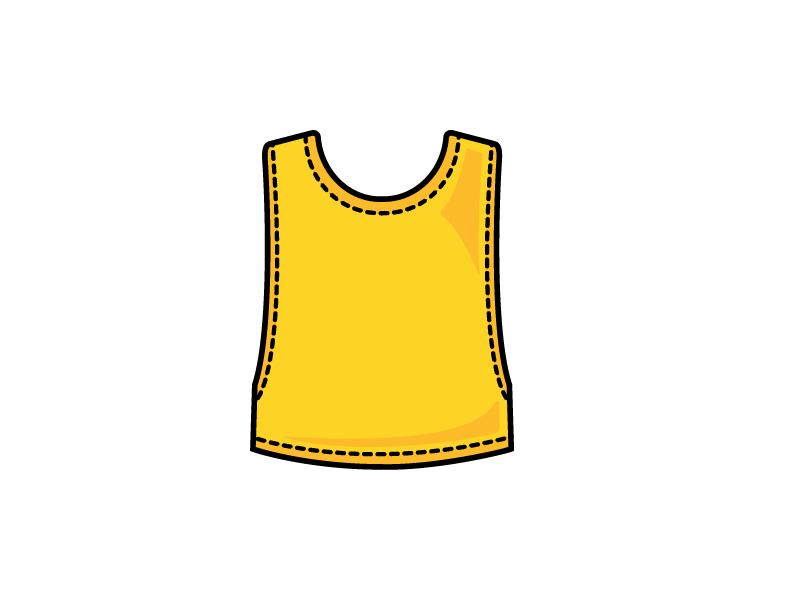 Be vocal and advise players on what to do. 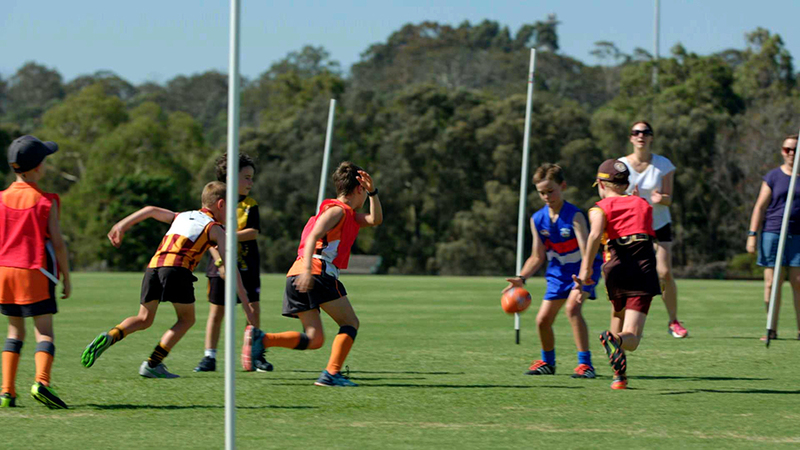 After every goal, restart with a ball-up, with a different pair of Auskickers in the ruck. Encourage players to pass the ball every five steps (or every five seconds). Try using a round ball. 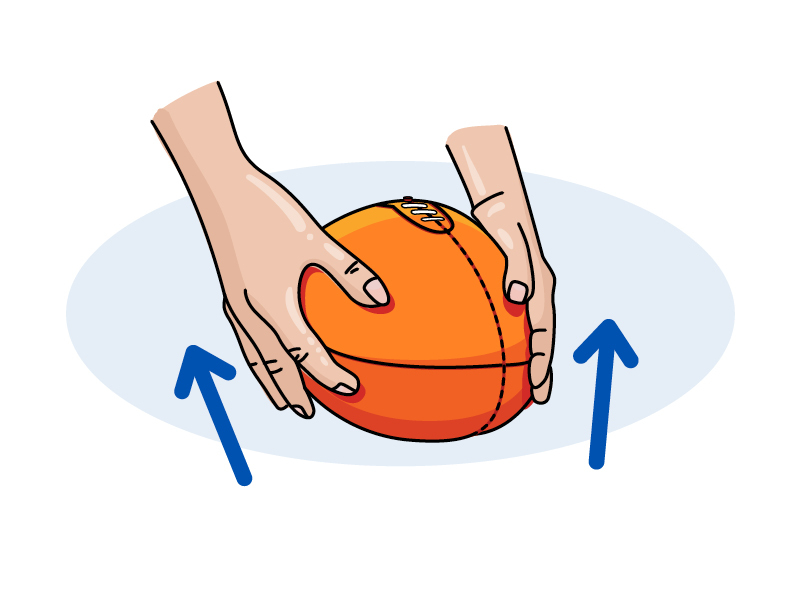 Use different methods of passing such as handballing only. 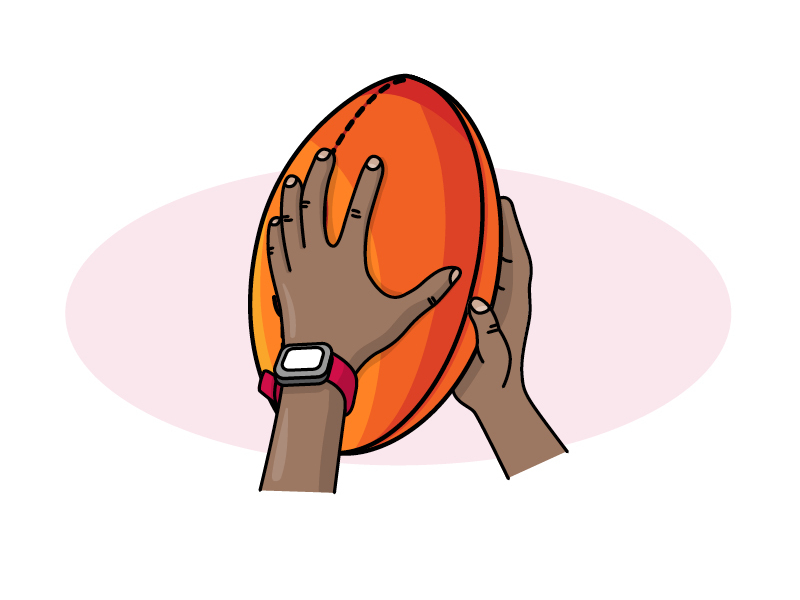 Try a different scoring method such as handballing or rolling the ball over the line. Make sure every kid gets plenty of touches. Encourage sharing the ball, passing to team mates and team play. Have some parents act as goal umpires to retrieve the ball. 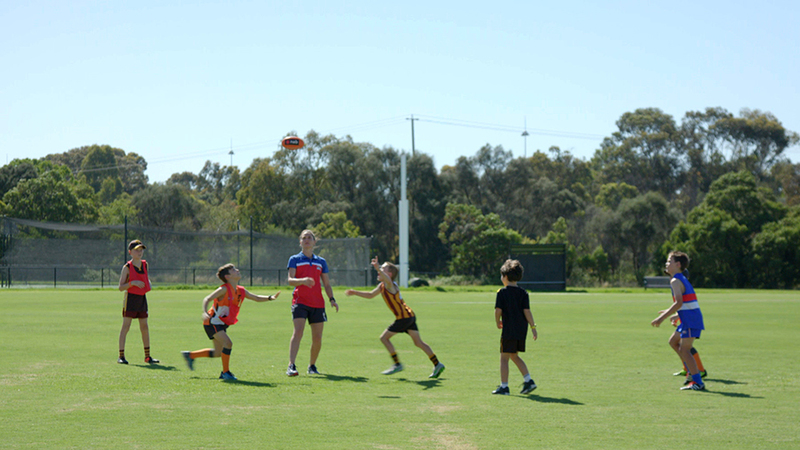 Now it's time to increase NAB AFL Auskickers' confidence using a footy! 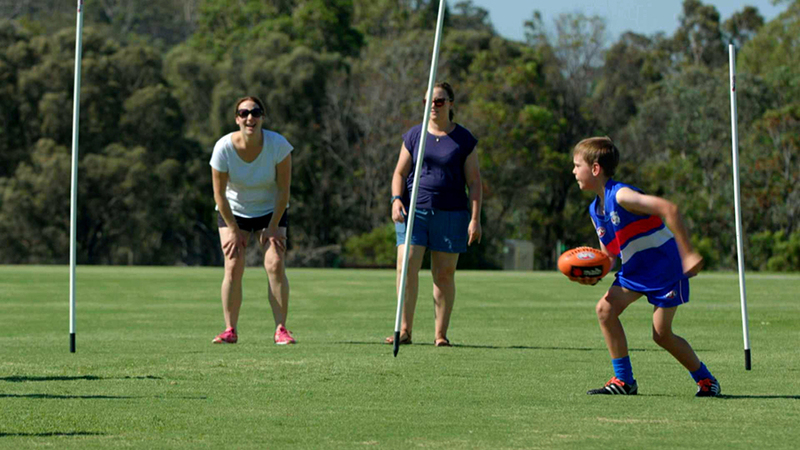 A classic relay race that relies on teamwork and testing footy skills learnt. 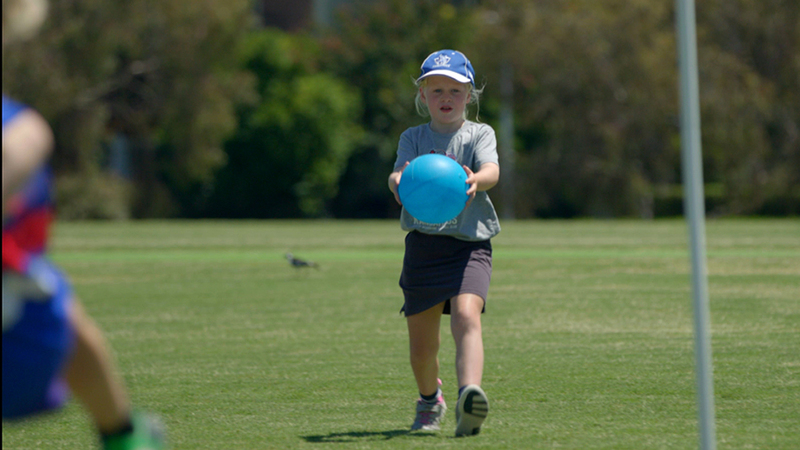 This seriously fun game will have NAB AFL Auskickers laughing hysterically whilst dodging!